Buy Prepackaged & Customized VP Mailing Lists, Vice Presidents Email Database And VP Contact List By SIC Code That Let You Reach Targeted Markets In The USA, UK, Canada Europe & Australia! Mails STORE can help you achieve you targeted marketing goals with customized Vice Presidents (VP) Email Lists, designed to achieve the maximum penetration in the most lucrative markets. Vice Presidents are the second most senior employees in any company, ranked after C-level executives. Since they are key decision makers associated with global companies, it is a herculean task to get in touch with them. But fret no more! 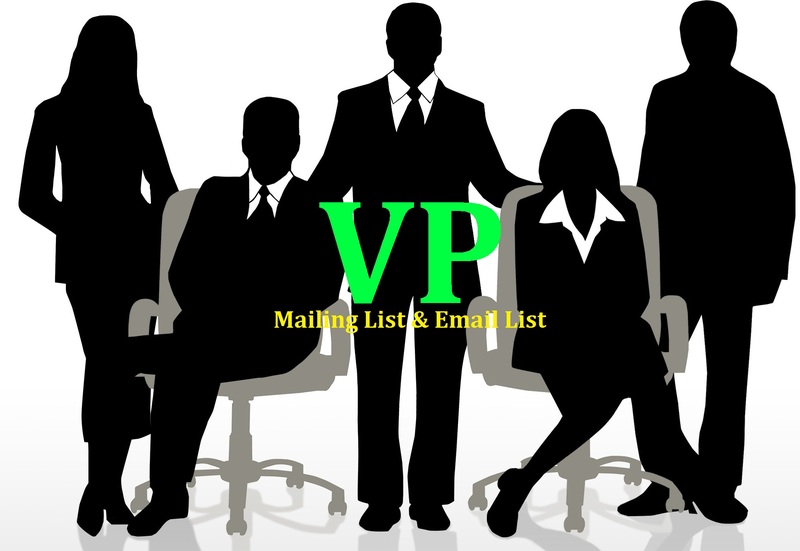 Our well-chalked out Vice Presidents (VP) Email Database comprising of an exhaustive Vice Presidents (VP) Mailing List can help you pitch for a global contract. Mails Store offer multi-channel marketing solutions that implement your sales strategies on several fronts. That’s why we offer you a number of selects in isolating the ideal executive audience for your offering, Our data and sales specialists conduct a complete review of your campaign before creating a list of prospects that fit your ‘Best Customer Profile’ and correspond perfectly to your campaign requirements. They function as the working executives of a company, bridging the gap between lower administration and elite executives, handling everything from corporate security to employee benefits programs. VPs wield considerable influence when making purchasing decisions for a company, especially in terms of small contracts and mid-size purchases. Marketing your products to a selection of VPs can have extremely lucrative pay-offs and serves as an excellent entry point into the corporate arena. Enhance your strategies. Surpass your targets. Contact Mails Store now!